It's official! 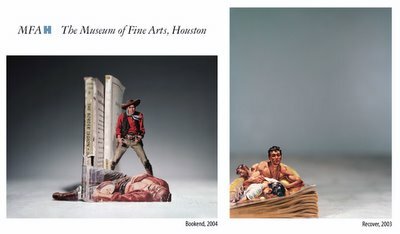 The Museum of Fine Arts, Houston has purchased my work for their permanent collection! They now own BOOKEND and RECOVER (which was gifted to them as part of the agreement arranged by Foley Gallery)! This is great news, congratulations! I am proud that this is the museum of my hometown - many memories of being there as a kid and as a sensitive youth. We will most likely visit there next Thanksgiving, so if at all possible I will look for it then!